I figured that before I get old and forget that my history of games consists of something other than just playing Starcraft 2, I should record the games that were most memorable to me. While most of these games were either quite popular or were memorable to all gamers at the time because they were the best games available back then, some of them are unremarkable or even poor – yet they all left some kind of lasting impression on me, sufficient that I’m able to recall some of these games even 25 years after playing them. In recent years, this is almost a complete list of what I actually played. In earlier years, it’s only the highlights of what I remember when thinking back. The list below is in chronological order by release date; in some cases I played a game that I had missed many years after it was first released. I’ve never been particularly interested in the MOBA genre, despite trying the original DOTA that came out of a Warcraft 3 mod. I’d probably have skipped Heroes of the Storm too, but I got a little earlier exposure via the beta, then played a bit more because of falling into an odd window where I was watching professional SC2: HOTS matches while playing the SC2: LOTV beta, which somehow made me play less. But what really got me playing this was the fact that my kids somehow noticed and took a liking to it, and would pester me to play. Despite my lack of interest, Heroes is pretty well done, and I’ve spent more time playing than I should! Legacy of the Void is the final chapter in… well, something or other. There’s a reasonably executed set of campaign missions, but as always, that’s not really what’s interesting about SC2. It’s all about the multiplayer! Legacy brings an entirely new feel to multiplayer, despite making only a few changes. The biggest by far is the increased number of starting workers, and faster rate of minerals mining out; this eliminates much of the sometimes repetitive opening, and feels like a huge improvements. The added/changed units give battle a more dynamic, less A-move feel to them – whether it’s because of flying sieged tanks in medivacs, or trying to land/dodge disruptor shots, or trying to position lurkers and corrosive bile, battles are more frenetic than ever. At the time of writing, I’m less proficient at Legacy than at HOTS, with a fairly small number of games played, but I’m sure this will change :). Reaper of Souls is pretty much what you’d expect in an Diablo expansion. An extra act, a new character class or two (which I didn’t bother with), a boss that just doesn’t feel right because they aren’t named Diablo, and a bunch of new items, tilesets, etc. This expansion more or less delivered on what you’d expect, and brought a few additional gameplay modes to bear as well. After a pretty quick walk through the new story elements, things quickly become new ways to grind for gear. Fortunately, I managed to put this expansion down pretty quickly and get back to my regularly scheduled Starcraft. 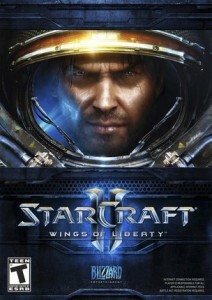 Sequels to Starcraft have always been unique; they put the significant majority of their effort into telling a new story, which the majority of the most serious players don’t care about, as they head straight to multiplayer, where additions to the game are usually only in the form of a few extra units that in some cases don’t even affect gameplay that much. Nonetheless, I’ve continued to play fairly ridiculous amounts of Starcraft since it’s release till now (end of 2013), perhaps even more than before, and to the exclusion of basically all other games. Multiplayer is definitely getting harder as only the serious folks are left playing 1v1 at this point. As is par for the course with Blizzard, the campaign is reasonably executed, though they’re still better at creating worlds and cinematics than they are at telling a cohesive and engaging story. In particular, with SC2, they seem to be have gotten confused between telling a story about an interracial war, a sort of love story, a tale of revenge, and an impending apocalypse. Still, with over 7,000 games played (since the release of the original), I’m not really complaining about value for money! I started playing Lightning Returns shortly after it came out in November 2013, and didn’t finish my first playthrough until January 2016. And even that was mostly motivated by being able to unplug my PS3 (to give 3D a try on a display I’d recently purchased). So suffice to say that it wasn’t exactly the most engaging game – though I almost exclusively played Starcraft 2 during this window. 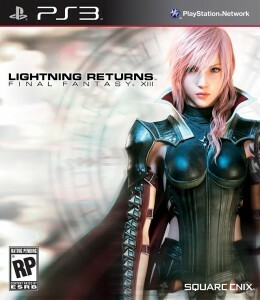 Unlike XIII-2, which I felt was solid but significantly hurt by significant gameplay flaws, Lightning Returns (and in a way, the XIII series) had many a number of overall flaws in game design, despite surprisingly solid gameplay mechanics that are easy to miss. As usual, it’s got excellent production values and looked decent even years later once next-gen consoles had launched. Sadly, its story was dull and of little consequence; you roam the world alone, barely interact with characters, with much of the plot and dialog occurring as scenes inserted into the loading sequence between days, independent both of gameplay and your own actions. The trilogy as a whole ends with no coherent purpose; the decision to go from 6 near-equal characters (in XIII) to focusing on two very different characters (in XIII-2) back to just Lightning with essentially cameos by the others (in XIII-3) is simply flawed. The “limited number of days” part of the game turned out to be awful as well; with any experience, you can conserve resources and almost infinitely stop time; I’d finished all relevant main quests just 1/3rd of the way through the allotted time, leaving literally nothing to do with the rest other than hunt a few monsters that I hadn’t already driven to extinction. Basically all the side quests were unnecessary and dull. All of this is unfortunate, because the action-oriented gameplay is surprisingly well designed. That you apparently just control Lightning is entirely deceptive, as you set up 3 schemata that you can switch between at will. Equipment, abilities, and time/turns (ATB) are distinct for each schemata; only hit points are shared. It’s quite fluid, provides many strategic options, with battles that can go very differently based on the strategy you choose. Sadly, the bulk of the game is much too easy, so you’ll play through basically all of it without really understanding the games mechanics. In all seriousness, it was only after a loss to the final boss that I even really understood how the Stagger system works in Lightning Returns. I’m not sure how long my habit of auto-buying Final Fantasy games will continue at this rate. I enjoyed re-playing Final Fantasy VI (for Android TV) with my daughter more than playing Lightning Returns! 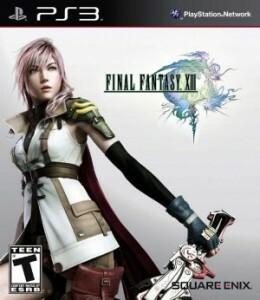 I wrote an entire post/rant on my experience with Final Fantasy XIII-2. Despite being solid in many areas, I felt that it was a fraction of what it could have been had the designers done some simple things to keep the core gameplay and quests interesting and fun. I wasn’t expecting a lot (after FFX-2), so it wasn’t a huge disappointment, but the potential opportunity that was missed here was depressing. 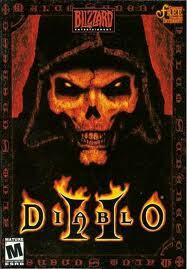 Diablo is one of those series that you spend way too much time playing, in an endless grind for incremental progress. It’s addictive while it lasts, but ultimately I always come to regret the time unnecessarily wasted playing through the game, rolling a set of random numbers over and over again. 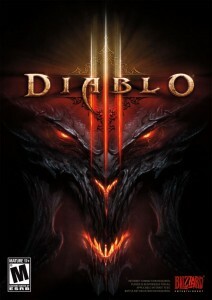 Diablo 3 had an interesting essentially mathematical flaw when I played it too; while there’s many choices of skills and equipment, and you’re free to change all your characters skills at any time, the reality is that certain stats compound each other in such a way that there is truly only one optimal build (which at the time, meant you had to focus on your primary stat, critical hit %, critical damage %, and +elemental modifiers). The best way someone put this was to say that Diablo was 80% luck, and 20% skill… and of the skill, 95% of it was being able to do basic math. Of course, the game is definitely worth at least one playthrough; the story is still pretty limited – you’ll click through mob after mob in more or less a straight line, wiping out increasing powerful minions until taking on the titular villain. Whom you basically know will be back for the next round. In what must surely not be good for the game industry from a revenue perspective, I didn’t play a single game in 2011 other than Starcraft 2. But as I posted when finally (and temporarily) making it into Diamond in 1v1, I sure did play a lot of SC2 in 2011. I did *buy* Uncharted 3 and Skyward Sword, but didn’t play the former till 2012 and haven’t played the latter as of the end of 2013! Uncharted 3 delivers exactly what you’d expect as a follow-on to Uncharted 2. Great production values, spectacular set pieces to play around in, solid sound and music, often witty and humorous writing, and decent characters with great voice acting. There’s not a lot to complain about, other than that the formula is a little familiar, and despite the high execution quality, it feels like you’ve been here before somehow. Also, perhaps exactly because of the issue above, it feels like they’ve pushed things just a tad too far in the lack-of-realism department. Not that any of the games were ultra-realistic, but as you can guess from the box cover (hint: he was onboard the crashed plane you see in the background), it gets a little over the top in this one. Still, it’s well worth playing, and as is typical unless you get into multiplayer it’s a relative short, high quality experience (which I much prefer over extended repetitiveness). I love this game and play way too much of it. It was already a crushing blow that I didn’t get to start playing it until July 29th, 2 days after its official release date, because I was in Europe on business. 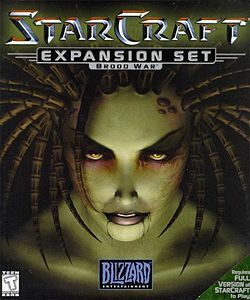 The original Starcraft (and the Brood War expansion) from 11 years earlier was probably my favorite game of all time as of the SC2 release, and at my level of play SC2 delivers the same feeling in a modern package and supported by really good online play (compared to SC1). It’s not quite a year later, and I’ve managed to play about 1,200 games. Each game isn’t that long (especially if I get 6 pooled), but that’s still a ton of games. I’ve probably slept an hour a day less on average since SC2 showed up, which certainly isn’t healthy, but unfortunately I don’t seem to be getting bored of the game. I’ll write about SC2 separately some day, or else this page will hardly be an index page. 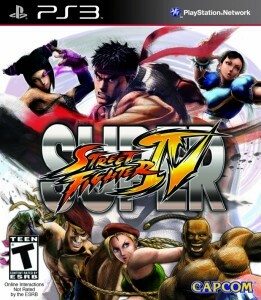 This update to Street Fighter IV added a lot of characters not named Ken. It also added a second ultra combo to Ken which on balance, definitely took off a lot more of my life than my opponents (since it leaves you fairly vulnerable afterwards). The nice thing about SSF4 is that a decent gang of people from the office would play it; especially on Friday nights, there’d be quite a few people on. We even had a SSF4 tournament in the office over the summer, where Paul Gvildys beat me in the finals, before being taken out by the master (Andrew Ho) who had a conflicting meeting during the main event, but as the best player in the office showed up at the end to successfully take on the winner. I’d have played this longer, except for Starcraft 2. I’m a long time, serious fan of the Final Fantasy series. I’ll create a separate page to explain “serious” sometime. Final Fantasy XIII had incredible production values and visual design. I thought the game mechanics were great, perhaps the best in the series yet; there was real strategy to the battles especially if you strayed from the beaten path and took on a tough foe. With no grinding, you could get wiped out 5 times, then finally figure out a winning strategy after designing your squad, equipment, and paradigms specifically for that battle. Once Pulse opened up, and you could take on whatever you wanted and explore, the game was great. Sadly, it takes 28 hours to get to that point, and while you can sit around and play in that environment, if you follow the main storyline you’re back on rails shortly thereafter. The core storyline was solid enough, and some of the characters and voice acting was quite enjoyable. Unfortunately, there was also Hope and Vanille (two of the characters). It felt like a few bad choices made the game a shadow of what it could have been. Recently, every game in the series seems to get a number of things right – only to miss out on something else. 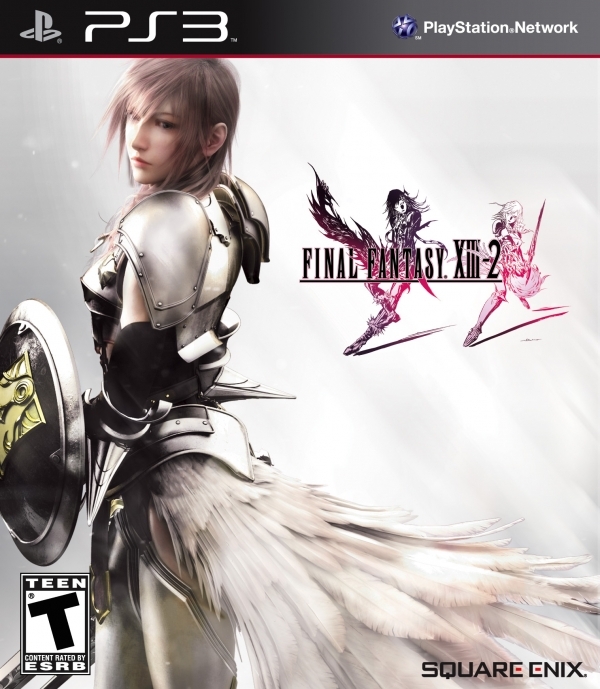 I still definitely found the game worth playing, and as some online site joked, I hope that the rumored “Final Fantasy XIII – 2” literally means minus two (and you know which two characters I’m talking about). 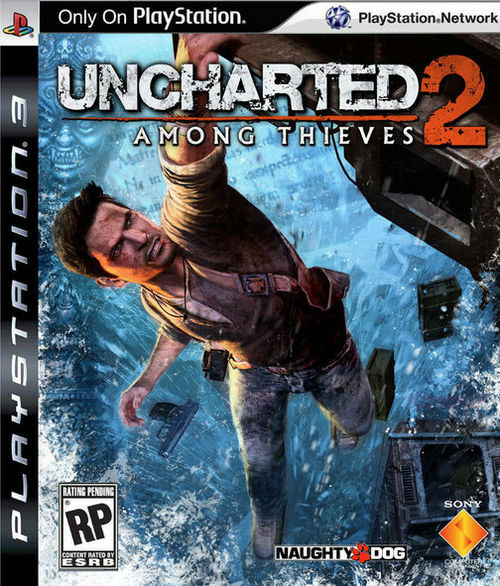 I’m not normally into shooters, but that wasn’t enough to prevent me from immensely enjoying Uncharted 2. The writing, voice acting, visual and character design, and pacing are simply top notch; the controls and game mechanics are solid enough (even for someone who doesn’t enjoy shooters that much) that they don’t get in the way of enjoying the cinematic experience the game provides. The set pieces and level design – and variety – are also phenomenal; each new level brings sights and sounds not yet seen. 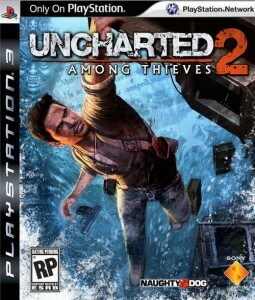 Personally, I feel that Uncharted 2 is the best game I’ve seen on the PS3 as of writing this (mid-2011). If the sequel lives up to the quality of its predecessor (edit: it almost did, but not quite), it may pull me away from Starcraft 2 long enough for a play through. Uncharted 2 only took 10 hours, though, so I won’t be away from battle.net for all that long! After almost a decade from the last major iteration, and 18 years after Street Fighter 2 really established the series, SF4 brought the classic 2D fighter back to life – and better than ever. Street Fighter 4 was a blast, especially the reasonably solid online play and matchmaking – which saved a lot of trouble over finding an arcade! Work colleagues that also played made things that much better. I wound up buying a $100 (normally $150!) joystick just to play SF4. It didn’t really help me play any better, but it recreated that classic arcade feel. With a colleague buying an iPad on the same trip as I picked up my joystick (from the US), I just had to laugh at the contrast between a diminutive device that crams a full keyboard on a 10″ touchscreen (or even a 3.5″ phone), and this behemoth that took up my entire suitcase and has just 8 buttons and one stick on it. Metal Gear games have typically been hard to put into a genre; on the one hand, they are shooters; on the other, it’s sometimes been possible to find a path through the game purely based on stealth, without actually having to shoot anything. Many like the stealth aspect; when I completed MGS4, I think I got the “awards” for being caught a ridiculous number of times and for playing the game far too much like a shooter. MGS4 straddled a different line – game versus movie, though a more apt comparison would be to a TV series. Some of the in-game cut scenes that occur after key objectives were so long, it literally was like watching a short program. Half the playtime of the game was consuming this content. Some people disliked this – but I thought it was well done, told a compelling story, and had great characters and voice acting. Fully appreciating it probably required more history in the game series than I have, but MGS4 had great plot and pacing. Gameplay was similarly solid; I loved the freedom to explore and find what seemed like one of many potential solutions to a given situation. Great set pieces, varied level design, and creative bosses all supported the games strong narrative. MGS4 was the most memorable game I played in 2008. 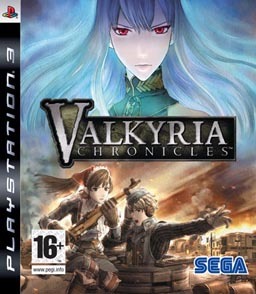 Unlike a number of the other games and franchises mentioned here, Valkyria Chronicles was never a big hit and I think less than 500,000 copies shipped in North America, despite being a critical success and a fantastic game with a truly unique gameplay style. It’s mostly a turn-based strategy RPG, in which you develop a squad of characters – each of which can take on a handful of roles. The game alternates between your turn and the CPUs turn; within a turn, you get a certain number of “moves”. Unlike traditional turn-based strategy games, there is a real-time movement phase to the turn; while you move your unit, it comes under fire in real-time though once you plant your unit, you get all the time you need to decide what action to take. Unlike many strategy games, it’s not grid based; a scenario is played out in a free-roaming map you can walk around. The ability to use tanks in some scenarios spices things up a little. The gameplay is truly excellent, and there are definitely some challenging scenarios in the game. For some very odd reason, perhaps the release of other stuff around this time window, I played to very near the end of the game, but for some reason I just didn’t finish it. Writing this reminds me I should go back and do that, if I even remember how to play! It’s a shame this excellent game was overlooked by the general populace. Crisis Core is one of several follow-ups to Final Fantasy VII (all of which came long after the original was released in 1997), perhaps underscoring how as was the case for me, FFVII grew on people over time. Crisis Core is one of the few games I ever played on my PSP, and the only one I’m mentioning here (FF Dissidia was not bad, and I purchased but never actually played God of War for the PSP – it’s supposed to be good, but for some reason I just never started playing it). It was released in 2007 in Japan, I didn’t get it till its 2008 release date in North America. 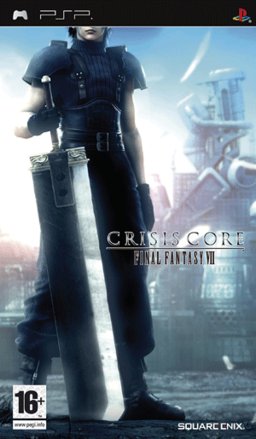 Crisis Core is set before Final Fantasy VII, and tells the story of Zack, the original elite soldier that FFVII’s main character, Cloud, would eventually adopt the identity of. It’s different from any of the mainstream FF games, in that you control a single character (Zack) as you navigate your way through a series of missions. Gameplay is fairly straightforward but offers the occasional challenge, and offers a decent amount of choice in terms of character development. Still, it’s probably appealing only to those who played the original FFVII, and longed for a way to return to the world that it created – but that’s a bucket I was most definitely part of. It’s a shame that the soundtrack costs basically as much as the game did new, as there’s one or two tracks I like, but I can’t bring myself to pay $35 for! 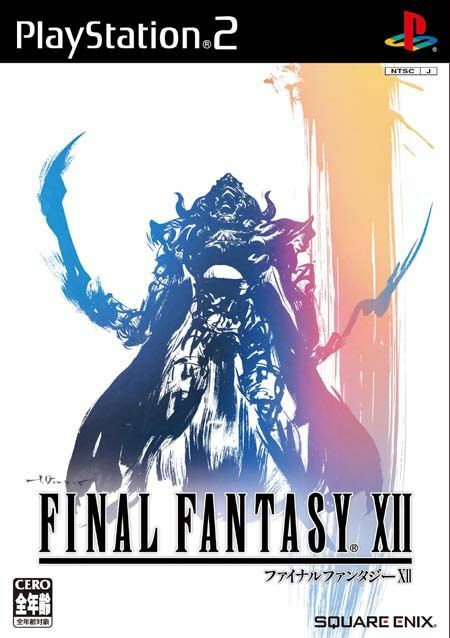 FFXII (12) was the second and last installment of the series on the Playstation 2, a perhaps unfortunate consequence of Square Enix’s decision to make an online-only MMORPG, and call it “Final Fantasy XI”. Final Fantasy Tactics was closer to a true FF game (in my opinion) than FFXI! I chose the Japanese box art here, because I like it better and because I bought a collectors edition that came in a tin anyways. FFXII was a notable departure in many ways from the series history. It’s technical set in Ivalice, the same world as Final Fantasy Tactics, and re-used a few small elements but was sadly otherwise completely distinct (sadly because I liked FFT so much). Whereas most other recent FF games have been character driven, this one is much more about an overall plot in which none of the characters is really a central focus. Probably a good thing, considering that I didn’t like Vaan (the closest thing to a lead character) much at all, although several of the other cast members were quite memorable. It’s a shame, in a way, because the overarching plot was quite good; much better than the “save the world from the one big evil” that’s typically the case. I personally thought the gameplay was great in FFXII, the best it’s been recently. In contrast to FFX and FFXII, you had lots of freedom to explore, combat could be challenging, and the whole gambit system was fresh and interesting. The challenge level dropped off near the end, ironically (assuming you don’t grind at all to power up your characters), but overall I recall it being very well done. Graphics were great also – nobody believed it was possible to push the aging PS2 further, but FFXII showed that 5 years later, developers were still finding ways to push the limits of the platform. 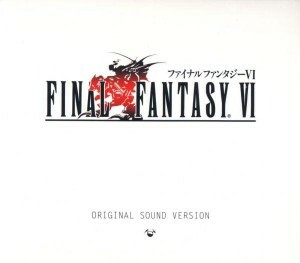 Still, I can’t help feel a bit disappointed that the game didn’t deliver memorable characters, or most importantly, a memorable musical score; I’ve purchased the soundtracks for almost all prior FF games, but found nothing compelling me to do so with this one. Which is too bad, since this is perhaps what I used to look forward to most from the series. 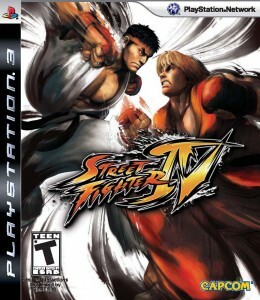 Third Strike is actually the third in a series of installments of Street Fighter 3, but at least outside of Japan, Third Strike was the first iteration in the series that was available for PS2 (and arcades had all but died off in North America in 2004, unless you were serious enough to go looking). Since only me and about three other people owned the network adapter for PS2 (and I used it primarily to stream media in-home), PS2 games pretty much didn’t support online play – and Third Strike was no exception. Fighting games have a limited appeal if you’re just playing the CPU – I did manage to play with my friend Andrew on occasion and once in a while when others were over, but I played far less Third Strike than SF2 or SF4. Indeed, the game existed in the lull between bustling arcades (in the SF2 era) and relatively high quality online play (in the SF4 era). Why then do I even mention this game, then? Probably only because this video of Justin vs. Daigo was so epic, that it made fighting games worth playing again all by itself. The amazing thing is that despite the short reign of most top/pro gamers, a half decade later, Justin and Daigo were still on top in their respective regions and faced each other in world championship finals once again. The expansion to Warcraft 3 added a fairly decent amount of new content, and would be my game of choice for the next several years. New units, neutral heroes, retooled balance, and other tweaks made multi-player more diverse and enjoyable; single player was a worthwhile experience too, continuing the storyline and setting the stage for World of Warcraft (which I’ve never played and don’t plan to). One interesting thing about Warcraft 3 was that there was a superb web interface that, given a players name, would give you detailed stats, hero choices, win/loss ratios by map, average game length, etc. It was far beyond what’s provided today in Starcraft 2. However, with a 2nd computer side-by-side my main one, it was typically possible as the game loaded to see a good amount about your opponent. It didn’t help much in terms of gameplay, but it was still funny to tell opponents what hero they were going to pick before they made the selection. Final Fantasy X-2 was the first-ever direct sequel in the Final Fantasy series, and seems like it was created as a polar opposite to the original. Sure, much is the same – the world in which the game is set, and two of the three main characters (Yuna and Rikku) – but almost every other element stands in start contrast to the original. Sometimes for good, sometimes for bad. The original game had a sombre, serious tone overall despite some lighter moments; the sequel has a serious back story, but is mostly light hearted about things. 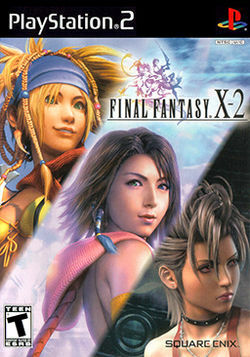 The original was extremely linear, which had the benefit of allowing it to tell a cohesive story that every player saw in its entirety; FFX-2 allows you to go where you please, and complete only a subset of the games content by the time you reach the end (I think I was at 65% or so) – but thus allowing you to miss chunks of the overall story as a result. Personally, in an FF game, I’d take linearity with good storytelling over an open world environment that fails to tell its story well. Better to have both, naturally, though most game design makes this a tradeoff. I also greatly preferred the sombre tone of the original; my mouth was wide open (not in a good way), and Valerie was laughing, after the opening intro of the sequel. That might just be my personally preference, but I think it was a real shame. Despite the ludicrous concept of using dress spheres that control the outfits and abilities of your characters as a game mechanic – with the ability to transition along certain paths during battle – was actually surprisingly engaging, and in some ways a precursor to the paradigm shift system in FFXIII which I also though was quite decent. Square allowed themselves to get creative here, and creating something that gave you a good amount of flexibility. Some of FFX-2’s innovative design and a controlled amount of flexibility would have gone along way to addressing some of the original’s shortcomings, and FFX-2 overall wasn’t a bad game, but well short of the original from my point of view. It’s honestly somewhat inexplicable how and why I enjoy the Disgaea series. Besides the original, I also purchased Disgaea 2: Cursed Memories, and Disgaea 3: Absence of Justice (for PS3). I even purchased two related games, La Pucelle: Tactics, and Phantom Brave, both of which play very similarly to Disgaea. 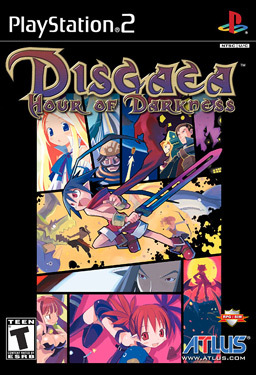 Disgaea is a turn-based strategy RPG; you develop a party of characters with each party member taking on one of a number of available job classes that provide various abilities and attributes. But besides the classic Final Fantasy Tactics / Tactics Ogre inspired style, Disgaea placed a huge emphasis on setting up color-driven chain reaction events (the exact mechanics of which vary with each installment in the series), making it as much a puzzle game as anything else. It had a deep but laborious system of leveling up characters and items, and with randomly generated dungeons you could literally play the game forever, well beyond what the primary storyline (completely ridiculous and entirely forgettable, though at times humorous) entails. It’s definitely a game where you eventually have to decide you’re just not willing to sink any further time in, as leveling up and clearing through all the games content literally takes hundreds of hours. Still, overall, it was a worthwhile and entertaining game with fairly deep gameplay. 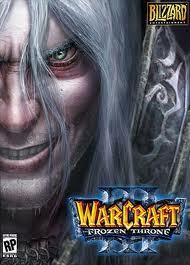 Coming 4 years after Blizzard’s previous RTS, Starcraft, it felt like the wait for Warcraft 3 took forever. Little did we know it would take 8 more years before the next RTS (Starcraft 2) would come along! Departing from the standard RTS formula in Warcraft 2 and Starcraft/Brood War, a big focus in Warcraft 3 was on hero units that would level up and become progressively more powerful through the course of a 20-30 minute game. The focus on managing your economy was much reduced, and the smaller number of units plus the upkeep system served to keep the armies for both sides in a big ball. While looking back, I much prefer the Starcraft 2 (and original Brood War) style and mechanics, it was innovative and fun. 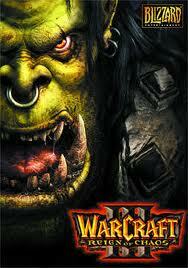 I played a ton of the original Warcraft 3, till the expansion (The Frozen Throne) came out. The biggest improvement over previous games, though, was the matchmaking – which was almost as effective as it is today in Starcraft 2. It was just easy to get on and find partners/opponents, regardless of what game type you wanted to play. 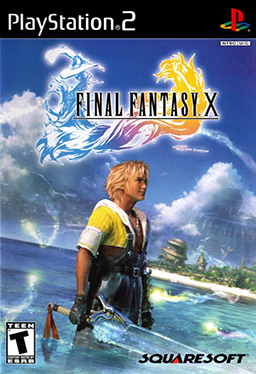 While it’s not without it’s flaws and it’s not everyone’s cup of tea, Final Fantasy X is perhaps my favorite game in the series (with the other contender being FFVI), and also one of my favorite games of all time. Perhaps it’s best to start with what’s wrong – or at least unremarkable – about the game, which I think would have to be the overall gameplay. FFX is a very linear game that gives you relatively little freedom in choosing your path; the sphere grid system offers a few choices but there’s few actual paths that it’s meaningful to follow with a given character, so roles are more or less locked in. Finally, the game is very easy; it seems designed for newcomers, and offers little in the way of challenge or variety. I think I was 30 hours into the game before I died for the first time, mostly due to complacency. The above would normally knock a game out of contender for being great, but FFX does so many other things well. As an early PS2 title, it was simply amazing in its graphical polish, art design, its CG, and technical execution. Worlds felt expansive and interactive. Writing wasn’t always the best, but was good all in all and supported by strong – especially for the time – overall voice acting. While it wasn’t without its campy moments (almost a given for a JRPG) and distractions (what really was the point of Seymour? ), it had an involving story and supporting world. I doubt that any who played the game to its conclusion will forget the ending, which is the most moving of any game I’ve played, bar none. For me, though, the ingredient that puts FFX in the list of my all time favorites is the music, particular the opening & closing theme, “To Zanarkand” – composed by long time series great, Nobuo Uematsu. 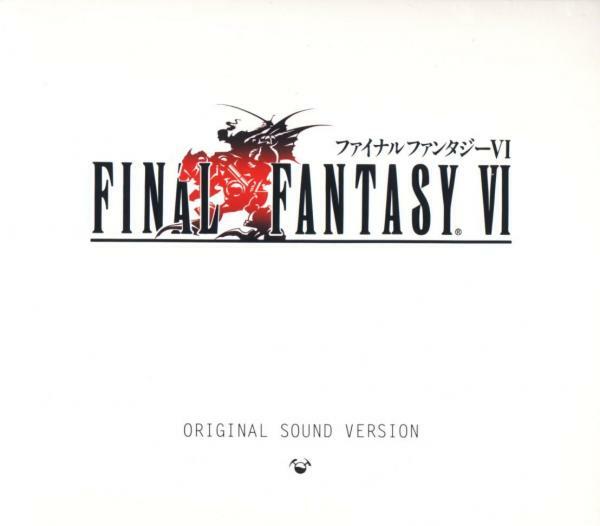 I own pretty much everything he’s ever composed for the FF series, and although the piece is relative simple, booting up the game and hearing this piece for the first time is really what set the stage for the entire rest of the game. I’m not sure Squaresoft – despite high points in FFXII and FFXIII – will ever again create the magic I thought was there with FFX, especially with long-time producer Hironobu Sakaguchi and series composer Nobuo Uemsatsu having moved on to other things, but I can only hope. Devil May Cry was an irreverently over-the-top 3rd-person action game; I think it sort of set the stage for more recent games like Bayonetta with it’s fast-paced, ridiculous action – but it was fun to play, was creatively designed, and had very fluid controls from what I can recall. I did play some of the sequels, but somehow never liked them as much as the original – perhaps because the formula had worn off, or because they didn’t seem as innovative. 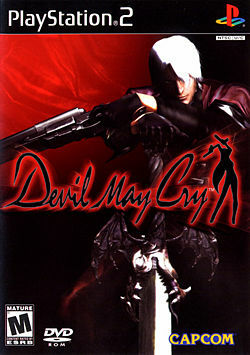 All I really remember about the game is that you cruise around a series of level, playing Dante (himself a demon of sorts), wielding both a gigantic sword and a pair of guns – which of course you could use in rapid succession to create ridiculous combos that keep your foes juggling in the air. It’s not the type of game that I typically play, but it was pulled off well enough that it left an impression. Oddly, Valerie found it fascinating to watch the game, and forced me to play though it in many fewer sittings than I’d normally have taken! MGS2 brings the stealth-action series to the PS2, allowing for dramatically improved visuals and presentation, while staying relatively true to the gameplay mechanics in the original MGS. 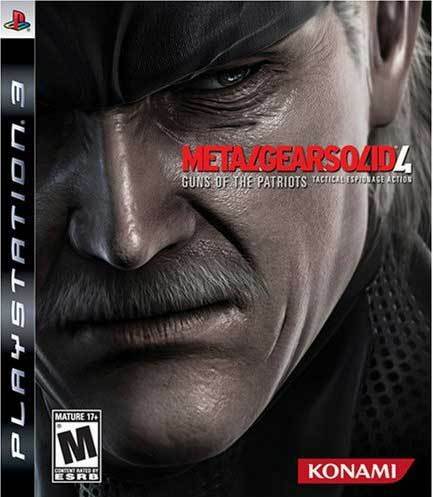 Perhaps it was the expanded storage capacity available on the PS2, but MGS2 continued the move towards what by MGS4 would look like a game that was half cutscene, half game. This is enabled by the fact that MGS has an incredibly rich yet sometimes convoluted story with layer after layer of conspiracies. By MGS4, they were shipping an encyclopedia with the game if you really wanted to understand the backstory behind things. I’m not sure I ever fully got it! 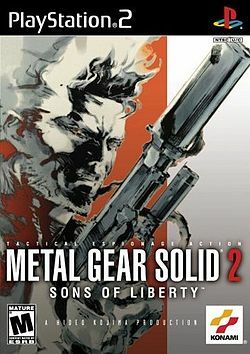 I actually didn’t even play MGS2 through to its final conclusion, but it’s nonetheless a title I consider fairly memorable, in part due to the music – though sadly, the title theme would later be subject to claims of copyright infringment by a modern classical composer, causing MGS4 not to feature the iconic theme from earlier games. I tend to not be particularly fond of any fighting game that doesn’t contain the words “Street” and “Fighter”, in that order. I think that’s because I invested the only effort I was ever planning to expend learning to play Street Fighter 2 (using only Ken, of course), and learning anything else would have required… well, more effort. Still, by 2001 it was 10 years after the initial release of Street Fighter 2; Street Fighter 3 had shown up in arcades but most arcades had died out years ago by this point, and it wouldn’t come to the Playstation 2 for a number of years. Perhaps this combination of things made me receptive to trying another fighter. Guilty Gear looked great; it was a nicely drawn, classic 2D fighter with fun mechanics and a good amount of depth (which I’m sure I explored just 10% of). 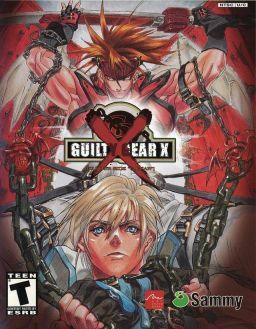 Guilty Gear X came out just prior to when I left Virginia to return to Toronto; fortunately that provided just enough time to play the game with Simon, who I lived with in Virginia and who had first introduced me to Street Fighter 2 many years earlier. No game in this genre is any fun at all if you don’t have a human to play it with, and this was before consoles became Internet connected – so the timing was fortunate or I’d probably have passed this decent fighting game by! 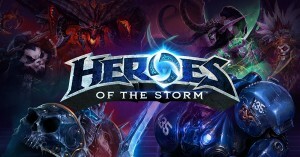 While I’m an unabashed fan of the real-time strategy side of Blizzard’s product line, I’m somewhat less enthusiastic about what I tend to call the “patience based” RPGs like Diablo and World of Warcraft, that place a heavy emphasis on grinding through mobs of monsters, leveling up and developing a character over time, finding better equipment for your character, etc. That said, I did spend a reasonable amount of time playing Diablo 2, and what it sets out to do, it does quite well. Diablo 2 offered a number of classes you can play through the game as; I chose the Paladin, essentially because I’d somehow liked that class all the way back from Ultima IV (though I doubt the Paladin class here had anything to do with that classic). We did do some amount of Diablo multiplayer in the office after dinner, with one of our colleagues Dorel getting completely hooked on the game. On at least one occasion, he was so bad that as we were getting up to go to work, he’d just be heading home! He found an in-game item, some necromancers wand or something like that, which we urged him to sell on eBay – it’s going price was around $50, enough to pay for the game – yet somehow he declined. Even though he didn’t even play a character class that could use the item! Diablo 2 had a well-done expansion in 2001, Lord of Destruction, that added some new classes, new item mechanics, and a new act to the story. It was a worth addition, but in most respects just a refinement of the core experience. 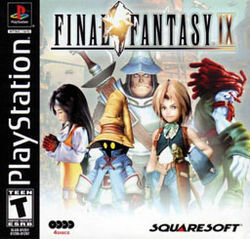 Final Fantasy IX was the last installment of the series on the original Sony Playstation, and was billed as something of a return to the series roots (in comparison to the more modern settings of FFVII and FFVIII). 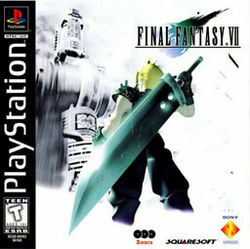 It was one of the highest rated Final Fantasy titles in the series, second only to FFVI (one of my personal favorites). I thus sat down to play it with very high expectations. I have no idea why, but while the game was clearly solid in essentially all respects (as far as JPRGs go), I didn’t like it as much as either of the earlier iterations on Playstation – nor as much as FFIV or FFVI. I don’t know if it was Steiner’s constant clanking, or what for me was somewhat forgettable character design in general – but it just didn’t deliver the experience I was looking for. One thing I do know is a huge part of this is the music – while not bad, especially by video game standards at the time, it really wasn’t noteworthy. Given the overwhelmingly positive reviews, I definitely walked away a bit disappointed – though it was still a decent game. 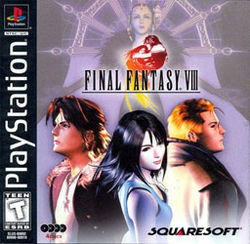 The second installment of the series on Playstation, FFVIII and the whopping four CDs it shipped on continued the trend of the series towards elaborate, lengthy cutscenes – opening with an incredibly well done (for standards at the time), yet slightly abstract and overly stylized CG sequence that was as good as any yet shown in gaming at that point. Blizzard may now be renowned for its stunning CG work, but FFVIII was way ahead of Brood War back in 1999 (though gameplay was another story entirely). Even though FFVIII was less well received (though still an 88% score) by game critics, I thoroughly enjoyed the game. As usual, a large part of this was music; I liked quite a few of the tracks and gone was the over-use of brass instruments that made the soundtrack of FFVII a little grating. Many complained about the lengthy summon sequences (which look amazing the first time, but that you just want to cut through on the 10th time); I never noticed, because I never used them. Part of that is because of the junction system, which I actually thought provided quite a lot of flexibility and allowed for players to take their own approaches. Sure, it was perhaps a bit of a pain to draw magic out of your opponents to support this, but you could really do some interesting things. In my case, I junctioned all the strength boosting stuff to Squall, which combined with his ability to get a critical hit bonus on every attack if you timed a button press right, worked out to be a winning strategy in almost all encounters. I think the game frustrated me less because this made most random encounters very fast and avoided the need for summons even in boss battles (basically, my strategy boiled down to keeping Squall alive and hastened). In any case, a decent overall cast of characters (especially some of the secondaries like Laguna Loire), an expansive world, reasonable flexible gameplay, a good musical score all made FFVIII a good experience for me! And the ending orchestral score is the best arrangement ever of the classic FF theme, and is pretty close to the orchestral closing verison of “To Zanarkand” in FFX as best closing music in the series (or really in any game I’ve played). Looking back now, I doubt there will ever be a year like 1998 again. Starcraft + Brood War, Ocarina of Time, the birth of MGS, and Final Fantasy Tactics? The expansion to Starcraft added a lengthy single player campaign that picked up where the original left off, added a couple of new units to each of the games three races – and became the gold standard for competitive multi-player in the strategy genre. To this date, Brood War is played professionally in Korea, even 12 years after its release. In Taiwan and in Paris, in 2010, I’ve been able to turn on the TV and catch a channel covering a Brood War game. A patch came out for the game less than a half year before the release of Starcraft 2, which makes the games support lifecycle longer than most enterprise software. Brood War was something we played daily up until around 2001 when I switched jobs, though I continued to play occasionally after that. 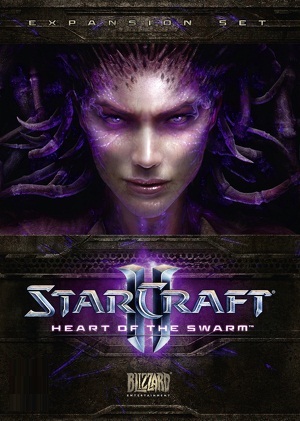 It’s truly an amazing display of game design and balance when players continued to refine new strategies with the tools they were given even five to ten years after the release of the game; the Korean pro scene is a testament to that, where even a decade later, players were emerging with innovative new strategies and levels of mastery of both micro and macro that previously seemed impossible. 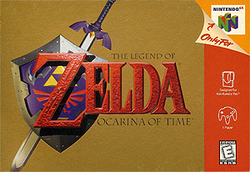 Ocarina of Time is perhaps the highest achievement in video gaming of all time, at least if judged by critical and player reception. It still has the highest aggregate score of any game, ever released, on any platform, both on metacritic and GameRankings. This is well deserved; the game is simply awesome. It’s a testament to the quality of a game when you play it five years late, and it’s still awesome. But that’s exactly what I did; for some reason, we didn’t have the game for Simon’s N64 when we were living in Virginia (or else I stupidly overlooked it), so I did not wind up playing the game till 2003, in its more-or-less original form, on the Gamecube – I bought the Legend of Zelda Collectors Edition, which came with the two original games, Ocarina of Time, Majora’s Mask, and the Gamecube hardware itself. I barely played any games on the GC other than Ocarina, but it was well worth it, even five years late. It’s hard to say anything about this game that hasn’t been said. It’s just the pinnacle of the action RPG; a great mix of sword & shield gameplay, flawlessly brought into 3D, with Link’s huge complement of tools and accessories. Level design was great, music & sound fit the game well, there was enormous variety in the world, and the level of challenge was just right also. It’s hard to see how to top this, and so far, they haven’t – I did play Majora’s Mask, Wind Waker, and Twilight Princess – all were good games, especially the latter two, but not nearly as memorable (and not even on this list) as Ocarina. I commented on a great ad for the 3DS update of the game here. Starcraft (with the Brood War expansion) makes many lists for best game of all time – and might just sit at the top of mine. Sure, I’d definitely play SC2 over SC1, but in a lot of ways, SC2 is a graphical makeover and control refinement of the SC1 core experience (with a little shift away from execution, which for most players is probably a good thing). 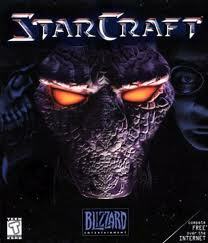 I’m very fortunate that Starcraft came out just as I was finishing my bachelors degree. It would not have gone so well if the game had showed up just a few weeks prior to final exams! Starcraft (and Brood War) became a standard game we’d play frequently in the office – as a break, after dinner, since it was a startup and we all worked really long hours back then. It never ceased to amaze us that playing 2v2s against people on the Internet, they’d still be way better co-ordinated that our team, even though we always played together and had live voice communication from sitting next to each other (or from the office phone system)! 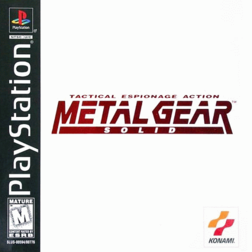 Metal Gear Solid (MGS) would ultimately become one of the defining franchises for the Playstation brand. Hideo Kojima, Konami’s brilliant producer of this series, remains one of the stars of the gaming industry to this day; he definitely takes his time but brings a unique take on things to his work. There are earlier Metal Gear games, with the first being 1987’s Metal Gear for NES, but I never really played the earlier installments. MGS continued the series’ stealth-action theme, with your objective generally being to achieve your objectives by sneaking around things rather than killing every enemy you encounter. 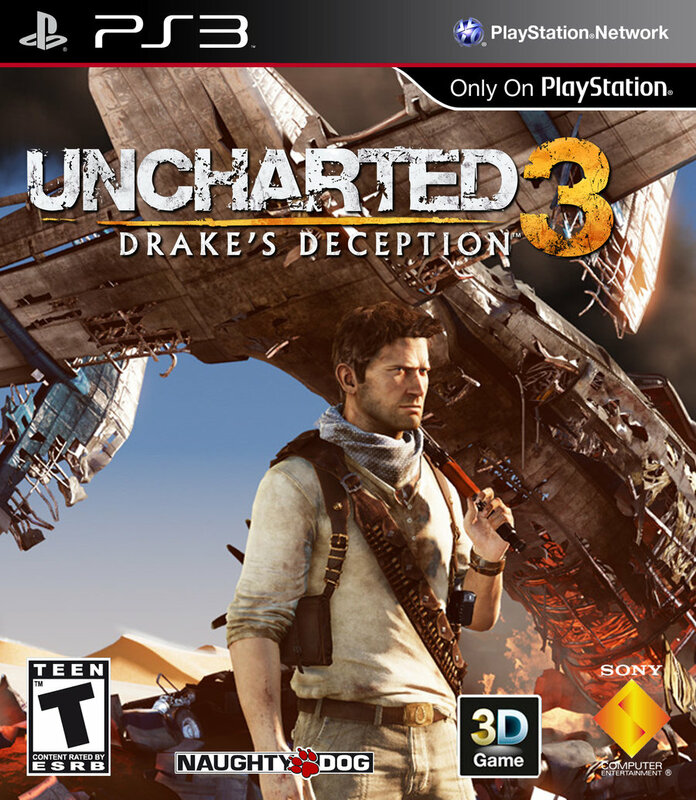 Like many series that made their way to the Playstation, it represented the first 3D installment in the series. Unlike MGS4, you have sufficiently less firepower in the original MGS that you’re effectively forced to do this, rather than having an option of more or less blasting your way through. 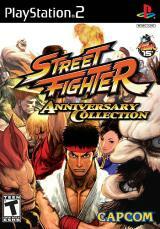 The “Alpha” series was chronologically set a little before Street Fighter 2, and featured younger versions of the main characters. There was a huge character roster, and a whole pile of new game mechanics – various “isms” (X/V/A) that affected the way your characters played and the special abilities they could use, air throws and blocks, custom combos, etc. 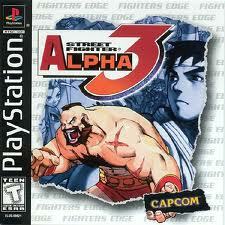 Although I’d played earlier versions of the Alpha series on Playstation, this one really stood out. This was more or less the standard edition we played when a group of us lived in Virginia and were looking to play Street Fighter. It would have gotten more play time, except that Starcraft had come out earlier in the year, and was typically what we’d spend our multiplayer gaming time on! Final Fantasy Tactics is another game that has a place on my list of best games of all time. 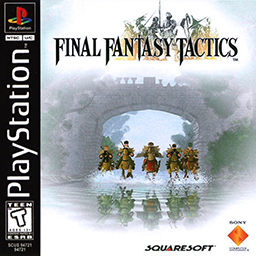 While it doesn’t bear the number of a mainstream installment in the series, this isn’t at all a reflection on the quality of the game; indeed, of the entire Playstation generation of Final Fantasy titles, Tactics is my favorite. The core gameplay mechanic in Tactics is completely different from the mainstream series; in Tactics, you deploy a party of five units drawn from a variety of job classes, typically with the mission of overwhelming the opposing side or taking down the leader of their party, in a series of scenarios that are constructed in advance (save for random encounters), taking place on a two-dimension square grid with an added height element. Between scenarios, you can spend earned job points to develop your parties roster and use money to improve party equipment. Gameplay is very deep, at times quite challenging, and often requires you to think through different approaches to beat a given level. While it’s possible to resort to grinding, it’s definitely not necessary, and while it required many retries, my first playthrough involved essentially no grinding (though my memory is mixed on how exactly I got through the one-on-one at the end of Chapter 3, which is impossible to win in a straight-up fight; I know I eventually would run around and use the self-haste action to cheese that fight but I don’t know if I figured that out the first time). Some reviewers faulted the gameplay, I thought it was awesome, except that Chapter 4, once you’ve got Orlandu in your party, is a real cakewalk (which is a shame). Backing this up is a great musical score, and a well written (even if poorly translated/told) politically-oriented storyline that revolves around friends turned adversaries Ramza and Delita. I did play the follow-ups for the Game Boy Advance (and DS? ), but they were lackluster and fell well short of the original in my view. Final Fantasy VII brought the series from the SNES to the Playstation – and from Nintendo to Sony, in a sign of the decline of the Nintendo brand during this era of gaming. With this transition came many other drastic changes that not everyone agreed with – a move to 3D (although often set against a pre-rendered 2D background), more “realistic” characters (the size of Cloud’s sword seems totally unrealistic – except people have actually recreated the Buster Sword in real life), and a modern setting for many chunks of the game. At the time, I was a little mixed on FFVII. I was completely hooked and played it end-to-end in a short period of time, using the video input on my PC graphics card since I didn’t have a TV available at the time; it was clearly the start of something very new. But the storytelling was a little muddled at times, and some parts of the story (and even some characters) were optional. When I look back now, I think it was groundbreaking in a lot of ways, and created a very interesting world – no doubt this is why there’s a feature-length film (Final Fantasy VII: Advent Children) based on the series, as well as follow-up games like Crisis Core: Final Fantasy VII. The game certainly left a number of lasting impressions. Sephiroth is up there with Darth Vader when it comes to memorable bad guys, nobody will ever forget losing Aerith after putting 25 hours into developing her, and hearing “One Winged Angel” play for the first time during the final fight with Sephiroth just shows how much music can make the game. It’s almost a shame this game was made back in 1997; if it had been done for the first time with today’s production values, improved English translations, and top notch voice acting, it would be a sight to behold (though they did manage to be quite muddled with FFVII:AC, even in the modern era). P.S. The arrangement of FFVII’s “Jenova” track on the Distant Worlds II is just great. If I didn’t have kids, I’d go see it in concert! I first saw Resident Evil, with my brother Pete and cousins Lisa and Mike, at my cousins Chin Aun and Chin Pang’s place. They had a big projection screen and powerful surround sound system hooked up, and it was the first time any of us had seen a Playstation in action. 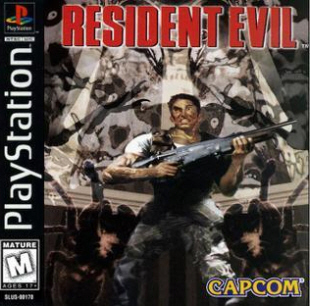 At first, it was comical, because Resident Evil had about the worst dialog / voice acting you could ever imagine. “Why don’t you, Jill, the master of picking locks, take this lock pick?” Between that, an the opening helicopter scene where the helicopter flies away and one of the people left is just holding his hand at the sky saying “No!….. Don’t Go!….”, you’re just laughing at the game. Then you walk down a hall, a rabid infected dog jumps through a window, and you’re scared like you never thought a game could scare you (remember, this is one generation after the Super Nintendo). In that moment, I decided one of the first things I needed to do after getting back to Canada was to scrounge up the cash now to by a Playstation. Originally, I figured I’d wait till Final Fantasy 7, but Resident Evil sealed the deal. There have been a number of sequels, some of which I played, and some which are decent in their own right, but I’m not that into the “survival horror” genre that was essentially spawned by this game. Still, it was the first game in the series that had an undeniable impact on me. And I’m not just talking about the cheesy opening dialog, which was so bad that it’s forever etched into my memory. I can’t remember most of the details about the game itself, but boy, I’ll never forget those lines. 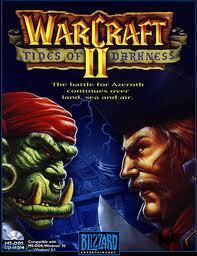 The introduction to Warcraft 2 was an interesting one; I was in University, living with three roommates in a townhouse that we rented. All of us were in Computer Engineering, and had our own computers. For a few days, you’d just hear the weirdest sounds coming from Wei’s room- “Dabu”… “Zug Zug”… “Job’s Done”. Eventually, he showed us the first entry I’d seen in a series of games that would, as of this point in time, consume more of my time than any other (greater even than the Street Fighter series of games). We played quite a bit of Warcraft 2 during University, over a LAN since the Internet wasn’t capable of supporting real online multi-player at that point in time. Even though there were just two races that were essentially mirrors of one another, the game was lots of fun and certainly got me hooked enough to buy into every subsequent ‘Craft game that Blizzard could make. I’m really lucky, in retrospect, that LAN games came out when I had friends/roommates on a LAN, and that Internet gaming took over at about the same time I entered the post-university phase of life where that was a much more convenient way to play. 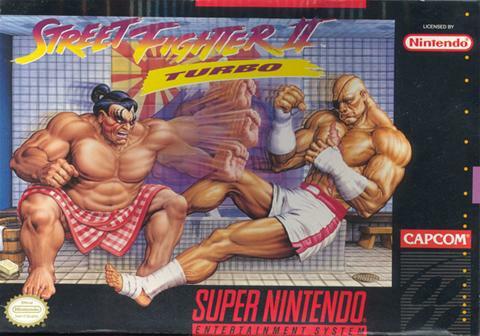 Super Street Fighter 2 Turbo (SSF2T) was the last major arcade iteration in the Street Fighter 2 line, following shortly after Super Street Fighter 2 which had itself introduced four new characters to the roster (Deejay, Cammy, T. Hawk, and Fei Long). This iteration added a super combo bar that would build up based on moves you execute during a round, allowing for a particularly powerful attack when fully charged. SSF2T also allowed the selection of a hidden character, Akuma (or Gouki in Japan), if you performed a particular set of actions during the character selection phase. This was somewhat memorable, because at the time of SSF2T’s release in arcades, I was on a work term in Malaysia. The web hadn’t really started then, and the Internet in general was limited to E-mail, FTP, NNTP, and Gopher. Still, that was enough to be able to download FAQs and read newsgroups; with Malaysia being significantly less technically connected, I was what seemed to be the first person there with the code to select Akuma. I still lost, though :(. Back in University, we’d later play this version in the arcade, and also on PC when a port of the game was released. Unlike the console-based ports, though, the PC port by a company called Eurocom wasn’t as faithful to the original; and playing on a keyboard came with lots of limitations! 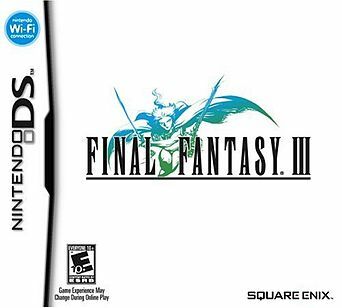 This was called “Final Fantasy III” when I played it, because the original FF2, FF3, and FF5 never made it over to the US. Now, we know better and use the original version numbers. My friend and roommate Simon brought me his copy of this game sometime in 1995, during one of our school terms in University, much like Final Fantasy IV. I had liked FFIV – but I simply could not put the controller down with FFVI. It’s about 40 hours of gameplay – plus a soundtrack that takes 3 or 4 CDs, all of which fits on a 32-40Mbit cartridge! – and I did it from start to finish in under a week. This game actually changed my life, in the sense that when I’d later be asked to continue to work full time while I finished school, I thought hey, I managed to do 40 hours of gaming a week during school, so I guess I could do 40 hours of work! FFVI is perhaps tied with FFX as my favorite game in the series, and ranks amongst the best games ever made in my book. It’s hard, all these years later and with the way that games have evolved, to fully explain all the reasons that I have such fond memories – but it had great and occasionally challenging gameplay (unlike every installment that would follow, although it was not quite as challenging as FFIV), I loved the music (its score remains among my favorite, despite being all Super NES grade MIDI music), it had a great and diverse cast of characters; unlike FFX which I have plenty of criticism of despite enjoying greatly, FFVI was just a great all around game. 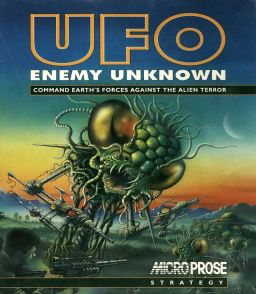 UFO – Enemy Unknown was the first in what would later be known as the XCOM series, though the first game in the series was considered the most groundbreaking and was the only one I actually played. 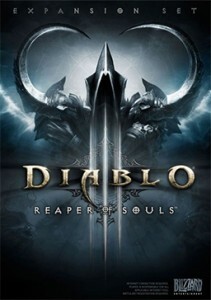 I thoroughly enjoyed this game, and consider it to be among the best games ever made. As a squad-oriented, turn-based strategy game played out on a 2-dimensional square grid with height, I now realize looking back that it bears an interesting resemblance to Final Fantasy Tactics, albeit in an incredibly different setting. I guess it’s unsurprising that I liked both. XCOM had its own very unique mechanics, with a very deep gameplay system; you had to consider line-of-sight, shooting accuracy, morale, different time costs for different actions, the makeup and load-out of your squad, which missions to pursue, and so forth. One of the elements that made the game so exciting was that you’d spend a lot of time and effort building up your squad – but they were highly mortal, and a few wrong actions even near the end of a hard-fought mission could permanently cost you the lives of squad members you might have spent a dozen missions developing! There was nothing scarier in this game than spotting a Chryssalid – a strong, fast alien unit that with one bite, can turn a squad member into a zombie, which in turn can spawn another Chryssalid! 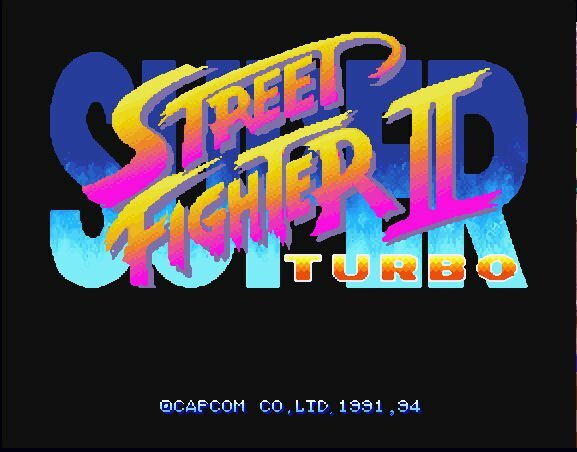 Street Fighter 2 Turbo on the SNES is really the console version of 1992’s Street Fighter 2: Hyper Fighting from the arcade. It introduces more gameplay tweaks, even greater differentiation of Ryu vs. Ken (this being of particular relevance to me), and perhaps most importantly, much faster paced gameplay. When you play the original game now, it’s almost surprising how slow it seems to run; if feels as if you have infinite time to shoryuken someone jumping over a hadoken; Hyper Fighting / Turbo raised the pace to one that’s similar to what would appear in later games. 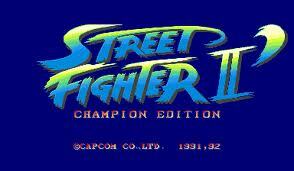 It’s hard to estimate just how much time we spent in university playing SF2T on Simon’s Super NES. I do know that we discovered, on several occasions, that the battle counter (which increments by one for each successive match) does in fact roll around to zero after hitting 99, so yes, we were definitely sitting down and playing more than 100 games in a row at times. Despite still being on the SNES, this was a huge step up over the initial implementation, and did a great job of replicating the arcade feel. My cousin Mike, who lived in North York, told me that when Champion Edition came out in his neighbourhood, that half his high school (A.Y. Jackson, where 15 years later Valerie and I would organize a badminton club) skipped class to go play – and that the lineup at the machine was hours long. Considering that Mike was the best in our family at the game by far, I don’t doubt that the standard and seriousness of the play out there was indeed much higher! Champion Edition basically made the four boss characters (Balrog, Vega, Sagat, and M. Bison) available for selection, and made some small gameplay tweaks in other areas. If I recall right, my local arcade was on Champion Edition, so I spent quite a bit of time playing this variant in the arcade! Looking at games like Star Control 2 and XCOM (above), it feels as though things were better off back when games weren’t designed to fit into any particular genre, and as a result took liberty in coming up with a diverse blend of gameplay elements. 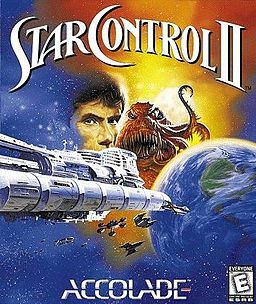 Star Control 2 was certainly such a game; it blended open-world (well, really galactic) exploration and diplomacy, tactical and RPG elements where you’d hunt for resources to built up your fleet and capabilities, and space-based combat – among other things. Writing was great (by the standards of the day), gameplay varied and deep, even without a sound card it played actual music, and character/race design was memorable. The core story is set in the future, after Earth and many other worlds had been enslaved by the Ur-Quan (with one faction of the Ur-Quan on a quest to just wipe out other races altogether). You start with one ship, and travel the universe trying to come up with a means of overcoming the oppressors. The humor is really what made things memorable though, whether it’s the talking pets that at one time enslaved the Ur-Quan themselves and now serve the ultimate punishment – talking to you, or the Pkunk, a race whose starship basically regenerates energy by hurling insults at the opponent (requiring, as a kid, an explanation for why you’re playing a game that during combat just keeps say “Jerk… Retard… Fool….”, etc), or any number of other things. It’s been a long time since I’ve since this level of creativity in a game! Insert coin, the screen to the left says. Boy, did I ever! 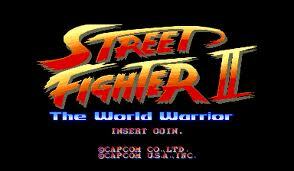 Street Fighter 2 is the classic fighting game that was responsible for establishing the genre, and making arcades hugely popular in the early 90s. There was a time, at least where I lived, where it wasn’t hard to find a dedicated video game arcade, and where most convenience stores would even have an arcade machine in a corner somewhere, often with a crowd of people gathered around. My friend Simon first introduced me to the game, one lunch break before we had a Physics class together in high school. That kicked off quite a bit of time at the SF2 machine in the video store near where I lived,where you’d basically play against other people who came to play. I was OK at the game, though as I’d subsequently come to discover I was really just fortunate that the standard of play in Mississauga was a good bit lower than places like Sunnyvale! When the game came out in 1992 for Super Nintendo, myself, Herman, and Sanjay would routinely converge on our friend James’ house to pour hours into the game. This was facilitated by James’ dad, who jury-rigged a real arcade joystick to work with the SNES, overcoming the fact that the SNES controller was a good bit more difficult (at least for me) to use. This firmly established James’ house as the preferred destination for that group of four of us. The fact that James’ mom would cut fruits up for us was an added bonus! This is the first entry in the Final Fantasy series that I played; if only I had known how this would wind up defining multiple chapters in my gaming life, and how much I’d anticipate the once-ever-few-years event that the release of a new installment in the series would become. I actually played this game in late 1993 or early 1994, during the 1st year of university, thanks to my friend/roommate Simon – who owned not just the game, but the SNES that I played it on *and* the TV that the SNES was connected to! I guess I owe him one! While the story of dark knight turned paladin Cecil would probably seem trite by todays standards, and the idea of taking a big whale to the moon to face off against Zeromus would come across as just outright loony, FFIV was awesome in its scope and execution for a game of the time. As with pretty much every game in the series (until recently), the music was a big part of it for me despite its low technical quality. FFIV shaped the way I play games forever. Valerie often jokes in the few games that she observes that I obsessively horde potions, phoenix downs, elixirs, and other such one-time-use items – usually to the point that I finish the game barely having used any of the more hard to come by items. That’s because of FFIV! In the final dungeon, with your saved game well past the point of no return, you have to make it past a mass of Great Behemoths and other tough monsters – and if you survive all that, which sometimes you don’t, then you’ve got to face off against Zeromus, which is one tough fight. If you die, you go back to your save point and have to do it all again. It’s at least a 1-2 hour process, and you had better have saved up all your Megalixirs, you’re going to need them! It’s not quite as oppressive as the original Final Fantasy, where you could enter a dungeon with 99 potions but you’d probably use them all up before you reached the bottom, in which case you would simply die since there were no save points in the dungeons themselves, but it defined the way I’d approach every subsequent installment. Even if I had the appetite for this series back in 1990, I lacked the financial resources and language knowledge that would have been necessary to import and play the original release of Final Fantasy III on the NES (note that this isn’t what was originally released as Final Fantasy III in North America, that was actually FF6). I didn’t actually pick up the game upon re-release for the Nintendo DS, both because I never really used my DS, and because I was quite aware that being great in 1990 doesn’t translate to being great two decades later. Still, I picked up FF3 for Android in 2012 to play during some longer flights. It pretty much confirmed expectations; while not bad, what was well received then is acceptable now only because mobile has (greatly) lowered the bar for what you expect from a game. Then again, if like me, mobile games are time-wasters when you’re stick somewhere like an airplane, then the repetitive random encounters in this game actually fit the bill reasonably. Ultima VI was a really different experience for me, despite being the tail end of the triology that stated with Ultima IV. In part, this was because there was no longer a large group of 11 year olds all playing through the game, and sharing tips. 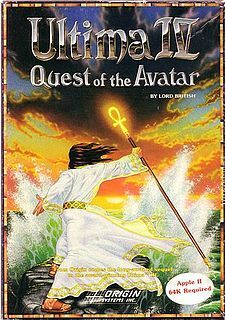 Instead, Ultima VI was available around the time that modems were starting to make connectivity possible, so if you got stuck, now you just had to scout the available BBSes in your area for a text-based FAQ (that still could take a while to download even though it was literally just a 40KB text file). But in another part, this was because computers had advanced so much in the interim. Having an actual hard disk meant that you didn’t need to insert and swap floppies to play the game. Our family computer had EGA graphics by this point, so I got to play in a mind-blowing 16 colors. Sound technology had similarly advanced. Still, I think I’d take the earlier days, of games too complex for us to individually understand, but that stood no chance against the collective schoolyard wisdom. It’s remarkable how short the development cycles were in the early days of video games, despite the fact that things had to be 100% before going off to be burned into ROMs that were completely unpatchable once shipped; the ground breaking Legend of Zelda managed to see a sequel just a year later. Not everyone responded positively to the sequel, and its side-scrolling combat system and overworld <-> battle transition (reminiscent in some ways of Final Fantasy’s approach, except you could see the monsters). I was definitely still a big fan of the game overall, though, and actually liked the side-scrolling action, especially the downward thrust that allowed you to bounce of your enemies with a downward poke. I think I really remember this game because we played it over the summer – as a foursome made up of myself, my brother Pete, and my cousins Lisa and Mike. Us three boys took turns at the controls, while Lisa was the designated “video game watcher” and overall strategist. The other thing I remember about this game is that it seemed to drop fairly obvious hints like “you will need to face yourself” about the (2nd-to) final boss, in which you fight your shadow, so I said fairly early that we’d have to face ourselves in the final boss fight. My teammates insisted even years later that I must have read this in Nintendo Power, even though we didn’t have Nintendo Power in Malaysia! 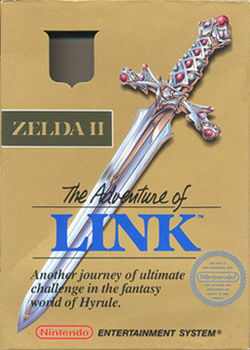 Those were the classic days of gaming too; you had to traverse the full depths of a long dungeon to get to Shadow Link, and if you lost – back to the beginning! It made the final triumph that much more rewarding – but I doubt I’d have that kind of patience today! 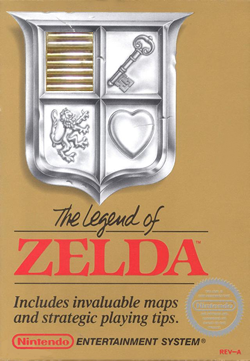 It’s funny how there’s so much I can’t remember about what happened yesterday, but I’ll never forget the 8-bit graphics and sound of the original Legend of Zelda title. It must have been 1987 before my mom got us this game for our NES in Malaysia, but boy, what a game; it was just leaps and bounds above everything we’d played before. It let you know this, too, coming in a gold cartridge that even contained a battery that allowed… gasp… saving! Until then, games not designed to be played from start to finish in a single sitting were rare, and even those longer games relied on passwords and other user-centric saving mechanisms. Zelda was different, right from when you took the game out of the box. Strangely, one other thing I remember is being in Canada on summer vacation (I lived in Malaysia with my mom, but would spend summer with my dad), and seeing ads for Zelda on TV during cartoons. I just remembered this guy (live action) yelling “Zelda?” while looking around for her, in what must now seem like the stupidest ad ever conceived. Fortunately, I was too young to know how bad that ad was – but not too young to admire the masterpiece that was Zelda when I finally got a chance to play it. Update: Posted an entry about the old ad (on Youtube) and a new one that’s just great. 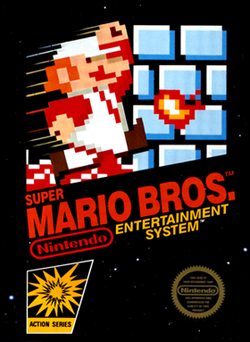 Technically, Super Mario Bros was produced before this game, but this is the first game I really remember playing. 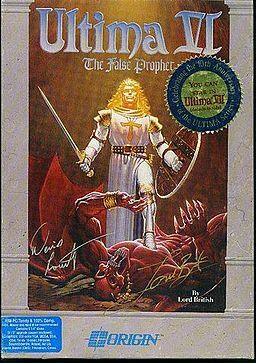 While the box art is for the Commodore 64 version, we played it on a Sinclair ZX 48K Spectrum, which used a TV for a monitor, and an audio cassette player to load and save programs. Wikipedia indicates that this game was relatively poorly received, which isn’t surprising, because even based on memory I remember it being a frustrating game. You were supposed to travel around and collect energon cubes, but we never really made it too far without dying, as it was pretty easy to be killed by the Decepticons – or, in more cases for us, just by driving off an edge or into something. 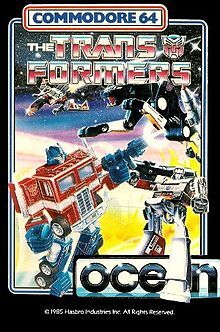 Still, I was only 10 or 11 at the time, and it was Transformers! This alone easily made it the most memorable game on the Sinclair, and it’s the only one I could remember without the assistance of the Internet – though Manic Miner and Jet Set Willy were pretty awesome in retrospect :). I think it was only in about 1987 that we actually got an NES, after always wishing for one when passing through Sungei Wang (a shopping center in KL, which back then before they turned the entire city into a gigantic shopping mall, was actually noteworthy). There was one shop in particular, Syarikat Bo Bo, that my brother and I used to always check out NES games at (Syarikat is Malay for company, and Bo Bo is just an example of awesome Malaysian naming). But like any NES owner, you just had to have Super Mario Bros, and even after all these years, it’s still a classic. Maybe it’s just because it was my first console experience, but even till now, I can remember Super Mario Brothers more clearly than the vast majority of games since. Sure, I won’t recall the exact location of all the hidden blocks that offer 1-up mushrooms or vines that tower into the clouds, but I don’t think it’s even possible to forget the SMB theme song. Ultima IV was the first “serious” game I played, but it was all the rage at my school. Kids would literally come in every day, share their progress, and share information about the game. Ultima IV was one of those games where years later, you’d have relied on a FAQ, but back then, you could only rely on word of mouth. This was a good thing too, because the final challenge in the game is to answer the question “What is the one thing which encompasses and is the whole of all undeniable Truth, unending Love, and unyielding Courage?” If a friend hadn’t told me to type “Infinity” when that question came up, I think 11 year-old me (actually, even present day me) would have been stumped forever! I also didn’t have a PC back then on which to actually play the game. Fortunately for me, a neighbor that lived in the apartment below us did, and he graciously let me use his PC to play the game (sometimes I managed to get into the office downstairs to play as well). I even lucked out – while some school friends had to play on monochrome monitors, my neighbors PC had an awesome 4-color CGA display! Bleeding edge, I tell you. The following should be listed above, but I haven’t gotten around to adding them yet! As I find the time, I’ll write down what I think, so I can look back later and wonder how I ever wasted all that time.